Digital marketing has made it possible for businesses to access feedback instantly. Content marketing provides a long-term solution to adding value and enhancing online marketing campaigns. In order to appreciate fully the impact of content marketing, you need to measure it in line with set marketing objectives. A major consideration for digital marketers is whether the content made an impact on the target audience or not. Platforms such as social media make it easier to carry out this type of assessment through responses such as comments, views and numbers of shares. Along with considering how widely your content has been distributed it is also important to take the level of engagement into account. This refers to how users engage with your content through aspects such as blog post comments, shared posts and content links from other websites. When a person shares or distributes your content this is an indication of the impact the content has made. Comments, conversations and discussions ensure that the content becomes memorable. This has the potential to result in people following up and ultimately resulting in conversions. Content marketers need to be aware of how important it is to track the progress of their marketing strategies. This makes it possible to establish the level of content distribution as well as the impact that the content actually makes on the audience. Content marketing through various applications gives you the chance to maximize on your ability to create business opportunities. It gives you an effective way to interact with your consumers and share knowledge within your areas of expertise. This type of engagement is critical towards the purchasing process. Blog marketing provides you with a great way to establish worthwhile relationships and personalize your brand. This works well towards giving you a competitive edge, as the relationships that you create are useful for generating potential leads. Blogging is important for strengthening the relationship you have with your customers because it creates an atmosphere of familiarity and loyalty. Blogs about topics relating to your field give the readers insight and keep them informed about any new developments. As long as you ensure that the topics you write about in your blogs are relevant are interesting, readers will keep on returning to your site and your following will increase. A key benefit of blog marketing is that it gives your brand a unique identity that you reinforce each time you create a new blog post. Blogs that pertain to topics that are relevant to your industry will earn you credibility and set you apart as a reliable source of information. It makes it easier to find your business online. Increasing the amount of high quality of content on your pages will help to improve your search engine rankings and accessibility. Effective blogging begins with identifying subjects that relate to your brand and creating blogs about them. The length of your blog posts will depend in what you want to achieve and what your audience prefers. If your business is active on social media, it is always a good idea to link the pages within your blog. The results from your blog marketing strategy will depend on your consistency and ability to keep it fresh. When you make the decision to start blogging as a way to broaden your online outreach you need to consider which blogging platforms you will use. The choice you make regarding blogging platforms will depend on your specified objectives. You will find numerous free platforms that are simple and easy to understand. Depending on the type of blogging platform you opt for, technicality will differ as well as the need for a web host. Blogging platforms range from WordPress to SquareSpace and each of them have their own attributes and benefits. WordPress is a widely used blogging platform that is popular for the technical support provided and customizable websites. It enables online businesses to manage their content and customize their websites according to their preferences. Choose a platform that is easy for you to use and that will help you meet your objectives. Blogging plays an important role in personal branding. With more businesses operating on a global scale and taking their services online, it is necessary to create a strong personal brand. The concept of personal branding has steadily gained popularity over the years. It involves being able to identify and express the aspects that make you authentic, original and different when communicating with your audience. This type of information comes from your personal values, skills and passion about what you do. The power of personal branding lays in its ability to communicate consistentlyabout what you are good at doing and most importantly, who you actually are. This enables people to know what makes you different from the rest and creates a niche for you. Communication about your brand should be strategic in terms of identifying how you can effectively inform a target audience about the qualities that you possess. This is how people will be able to determine whether what you have to offer will add value to their livesor not. Podcasting gives you a personal and intimate way to communicate with your audience and allow them to get to know who you are. Podcasts give consumers the chance to choose what they want to listen to. When an audience selects you this indicates that you are the preferred choice among other podcasts. This innovative marketing concept has grown in leaps and bounds. As consumers listen to you, it establishes a trustworthy relationship with them. Podcasting helps to transform your customers into a loyal base that trusts you and is confident about your abilities. As you continue to build relationships, you can look forward to your customers spreading the word about your products and services. The effect that podcasting has on listeners and customers is apparent in the interest that they begin to have in what you want to sell. This cost effective way of marketing your business helps to promote your personal and business branding efforts. SEO is necessary for any successful online marketing campaign because it enables search engines to comprehend your web pages and their usefulness to users. Being aware of the basics of how search engines function makes it easier for you to create and present your web content in line with the restrictions and capabilities of search engines. If you do not make an effort to implement search engine optimization in your overall web design, you risk having a weak online presence or being invisible on the web. 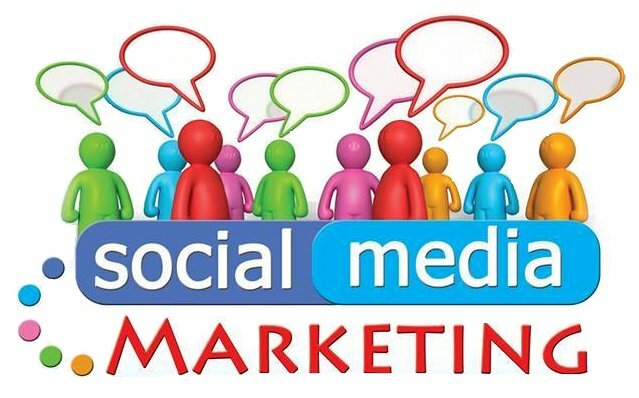 Social media marketing has gone far beyond being a temporary trend and has become an essential resource for spreading brand awareness. Each chance you get to make your web content visible is priceless. Social media networking gives your brand a new channel through which it can gain recognition. It provides the benefits of making it easier for your current customers to reach you while giving you the opportunity to connect with new ones. Social media networks such as Facebook and Twitter can spark interest among customers who may have previously been disinterested when you become visible on various networks. When businesses and brands become more active on social media, their frequent connection with customers then increases brand loyalty. Each post and update on your social media pages increases the prospect of your customers converting. As your following increases, you get to interact with new customers as well as the customers you already have. Positive interactions on social media can lead to conversions and profitability. Your posts give people the opportunity to respond and every response can result in more visits to your site and spark off worthwhile discussions. The extensive reach of social media improves conversion rates. When a business is visible on social media, it becomes more personalized and accessible. Social media compels brands to behave like people and interact on a personal level. This makes people more comfortable when they do business with a brand that makes an effort to reach out. Your following on social media has influences public perception as it serves as a projection of your credibility. Considering all the marketing strategies available, certainly businesses do not have a limit to the options available to promote their products and services. Video marketing and social media are powerful ways to keep your online visitors coming back for more. Video marketing has become a widely used marketing strategy because of its heightened visibility. When videos go viral, they spread across the world at a rapid. Millions of people view such videos within a short time. This type of fete is easilyachievable when businesses usevideos as a marketing medium. Several people choose to watch videos online every week. Well designed and structured videos enable businesses to communicate quickly and effectively. Some people would rather watch what you have to say about a product or service than read about it. Videos are beneficial towards search engine optimization because they enable people to share your content and this leads to direct creation of backlinks. Content marketing continues to be a vital component of digital marketing and many businesses implement it as a part of their online marketing strategy. It offers SEO related advantages as well as improve brand awareness that all businesses can benefit from. Any modern business that omits content marketing from its promotional efforts misses out on the opportunity to share its expertise and valuable information. Content increases traffic and links make it easier for users to find other areas on the site that are relevant to their needs. The more people are able to discover your site, the more business opportunities you will get exposure to. Good content has to address the interests, needs, and expectations of a wide range of people involved in the buying process. 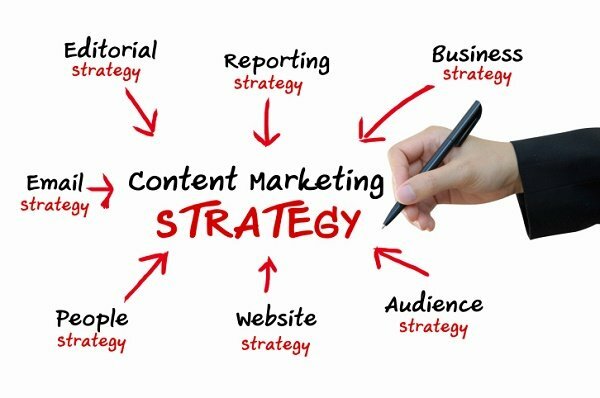 Effective content marketing provides a lasting solution to adding value and enhancing online marketing campaigns.